This cute home has had many updates! The living room has a hardwood floor. There are ample cupboards, a movable center island and newer vinyl flooring in the spacious eat-in kitchen. You'll enjoy the convenience of having main floor laundry! There is also a bedroom with new carpet and a full bath with ceramic tile flooring on the main floor. New carpet has been laid leading upstairs, which has two additional bedrooms. A new furnace was installed in 2016. 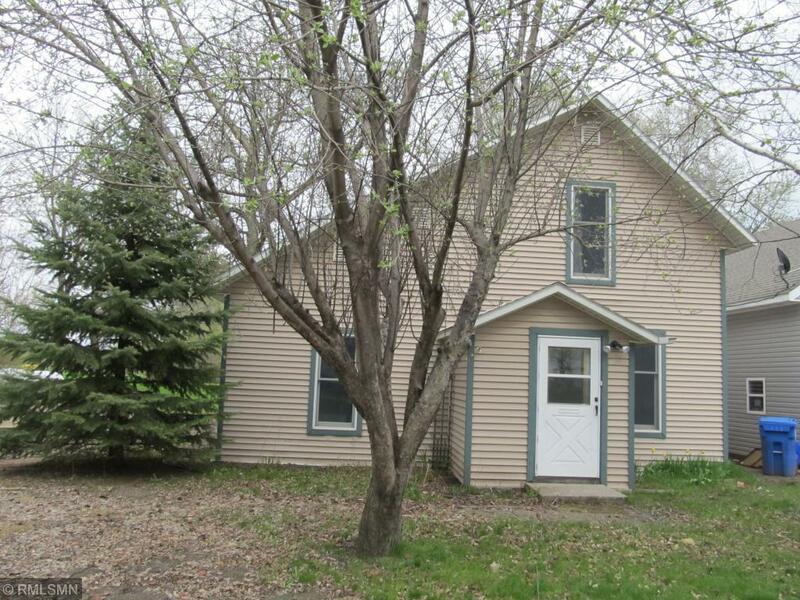 This property includes an additional lot and a shed.